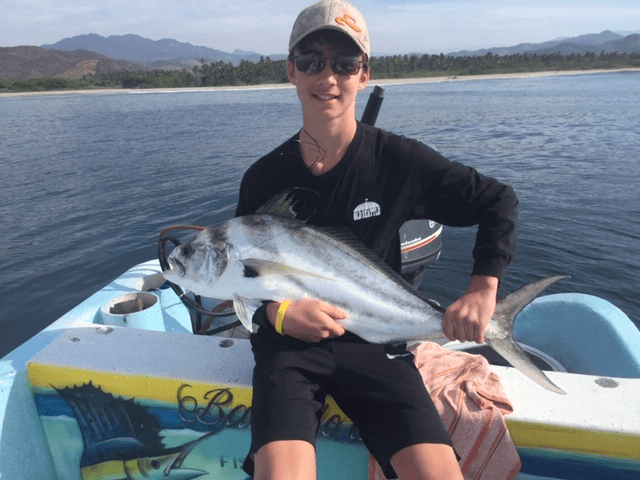 We are offering fully guided in-shore fishing trips to Puerto Vincente: the Rooster capital of the Costa Grande. 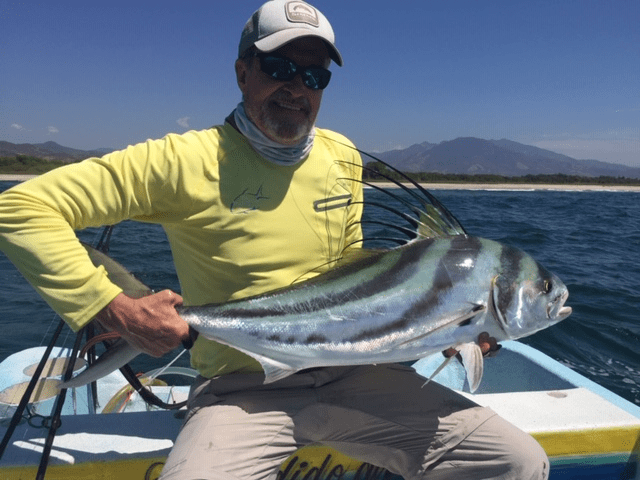 Puerto Vincente is a short half hour drive from La Barrita and has some of the best Roosterfishing in the world. 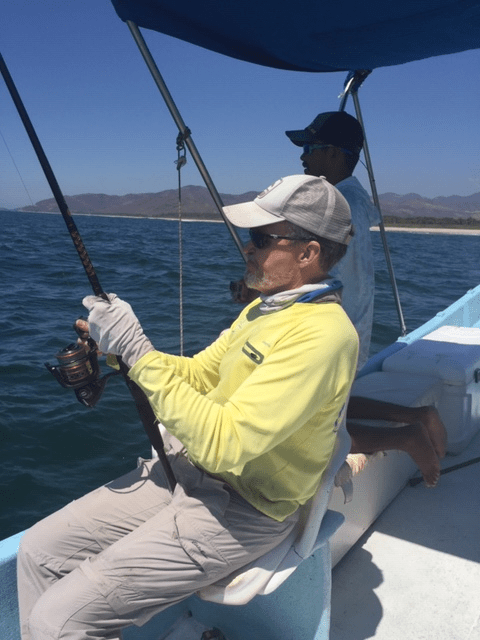 Mark is fishing with Rodolfo, from Puerto Vincente, also known as ‘Bandido del Mar’. 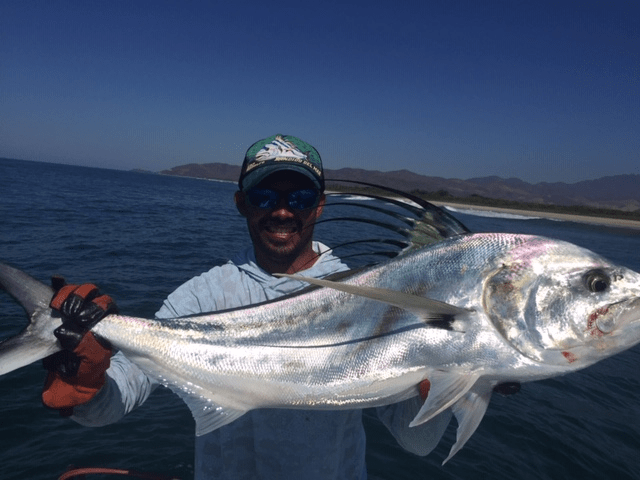 Mark and Rodolfo’s only mission while you are on the boat with them is making sure you are having the best fishing experience ever! 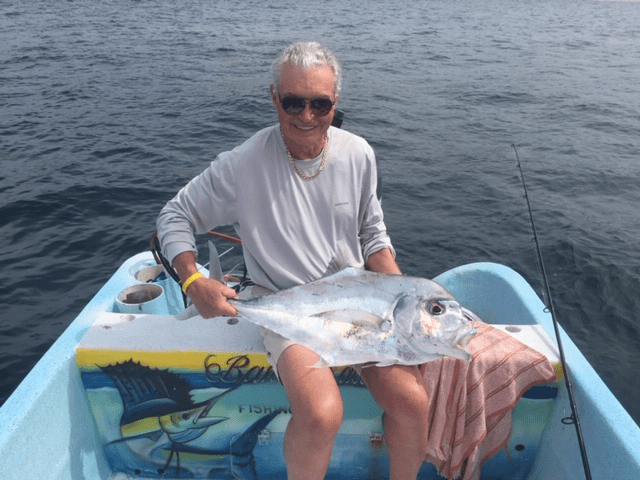 Ed Kunze has managed the Zihuatanejo fish reports for the last 20 years. He had designed a bar for a person to brace themselves while fishing. Although he hadn’t had much success on other boats with it, we are grateful he donated it to us. 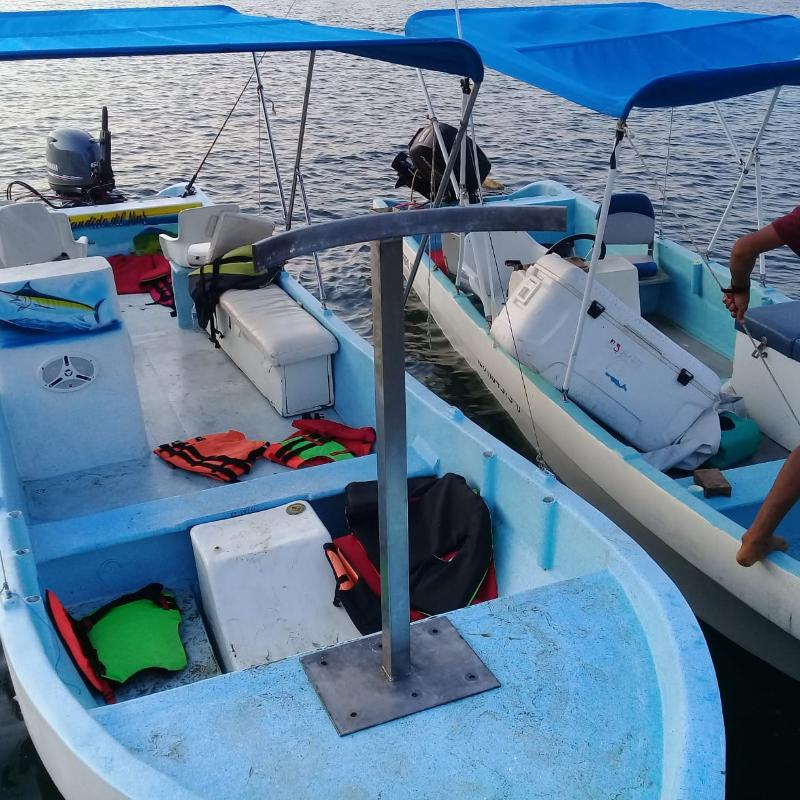 With the design of Rudolfos boat it works very well, and so far has two big thumbs up. Sunset fishing trips are also available on local open pangas. 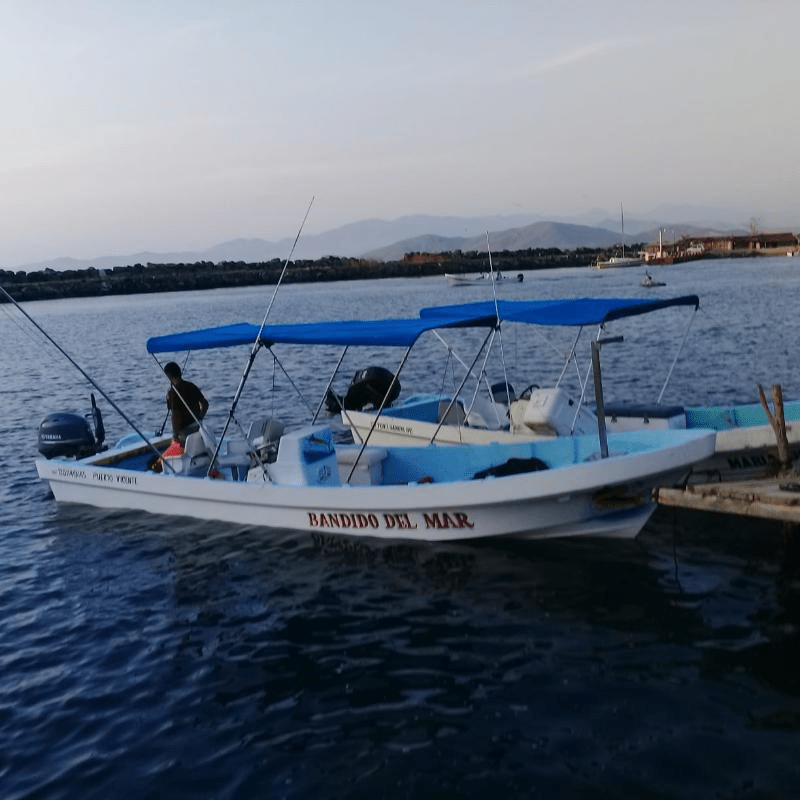 Two and a half hours of evening fishing starts with a leap over the waves leaving La Barrita, followed by some epic in-shore fishing, and ending with a sunset surf off the waves in a twenty foot open panga. Take your fish to a local restaurant and have them prepare the catch for you. Now that’s fresh. We also offer a vehicle-assisted beach excursion. Choose the area of beach you would like to fish, from over thirty five kilometres of uninterrupted beach. Walk the beach for as little or as much as you want as there are several pick up points along the way. Sit in the shade of the palapa, sip on a beer and watch for fish. Many species can be caught from the beach just in front of the house. No license needed. Fishing rods are available for rent (fishing lures and gear are expensive and hard to get in this area, so contact us ahead of time for a list of necessary lures and hardware if you wish to use some or all of your own gear). November and December are fishing months. We are offering a 10-day fishing adventure. 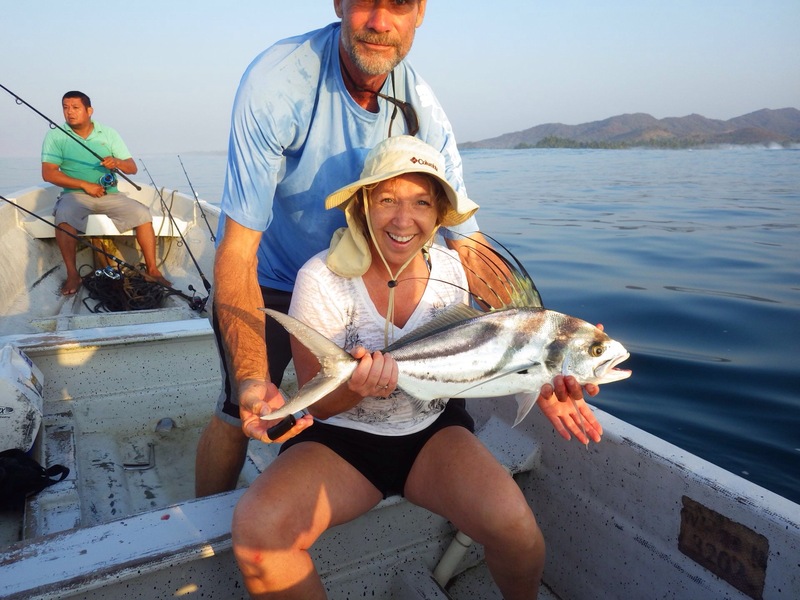 The trip consists of two guided fishing trips to Vincente and one full moon night fishing for barracuda out of Zihuatanejo. 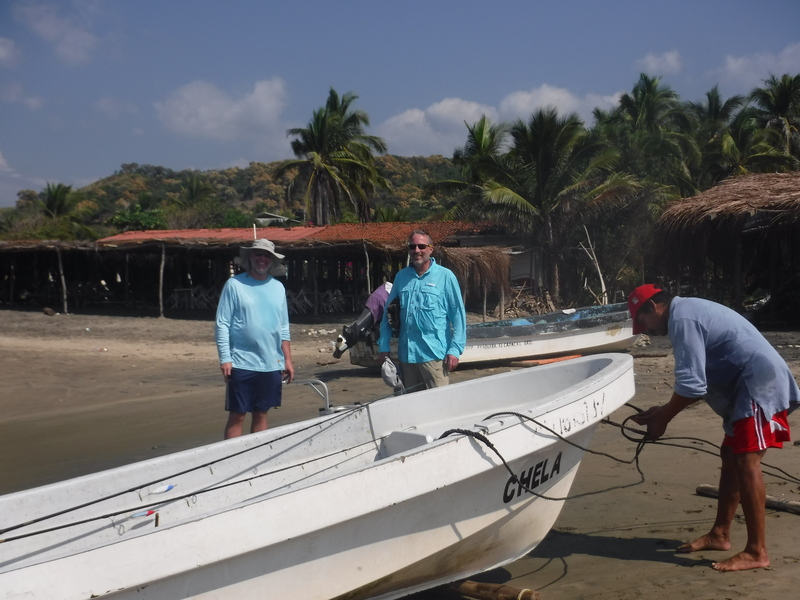 Trip includes accommodation and meals for seven days in La Barrita (details on rates/booking page) and three days in Zihuatanejo on Playa la Ropa. New this year we hope to have the Aguadrone: the first waterproof fishing drone with a line release. This drone will fly out and drop your bait over one hundred meters from the beach; great to assist those physically unable to cast the needed distances. The drone also enables the use of almost any type of rod and much lighter lines.
. please help support the Roosterfish Foundation. . http://roosterfish.org/.